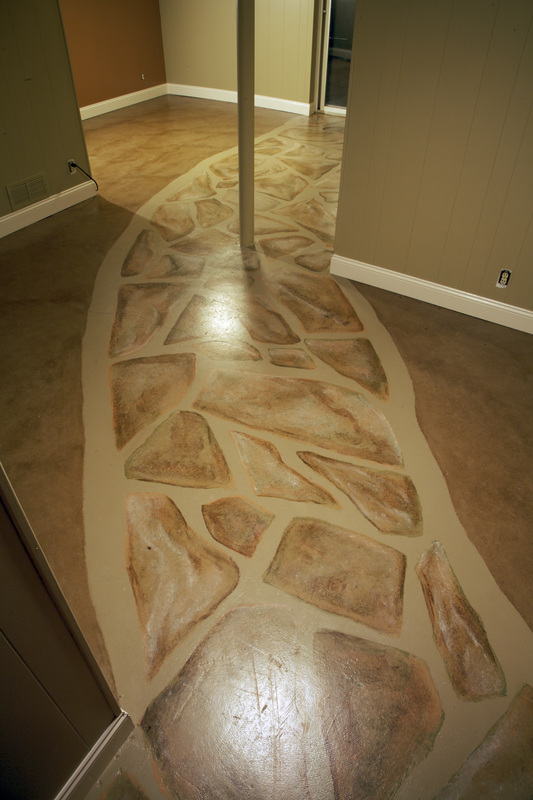 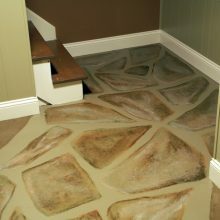 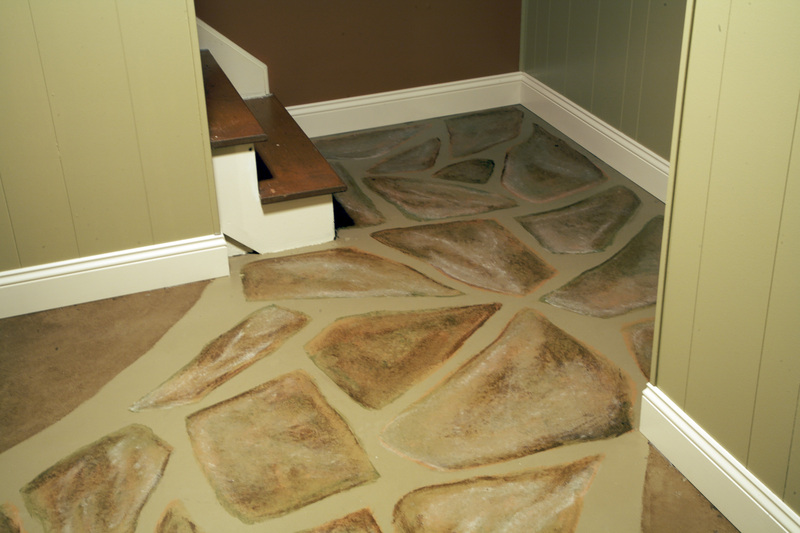 The painted stone path on this walkout basement floor leads from the bottom of the stairs to the door that leads outside. 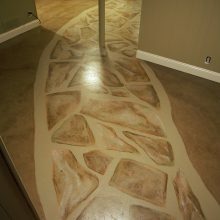 It meanders like a natural stone path and creates the feel of a unique space. 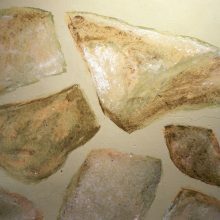 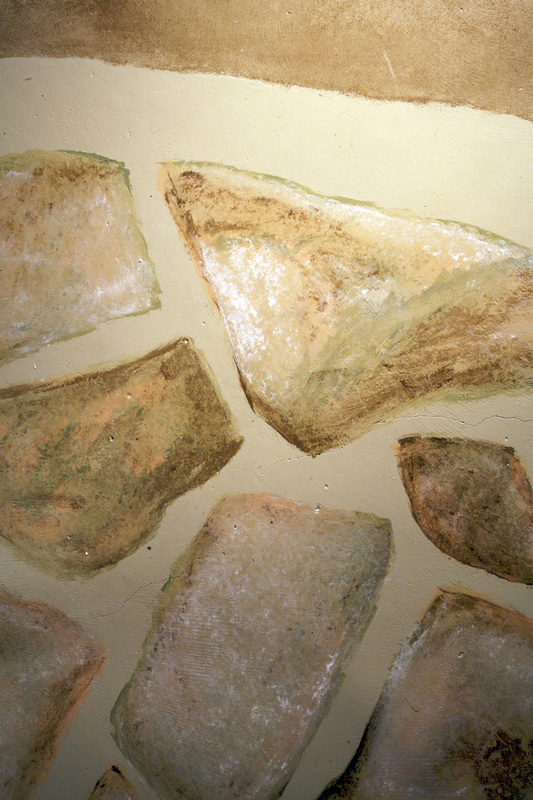 Wall paint was chosen to compliment the colors in the stone. 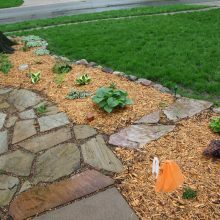 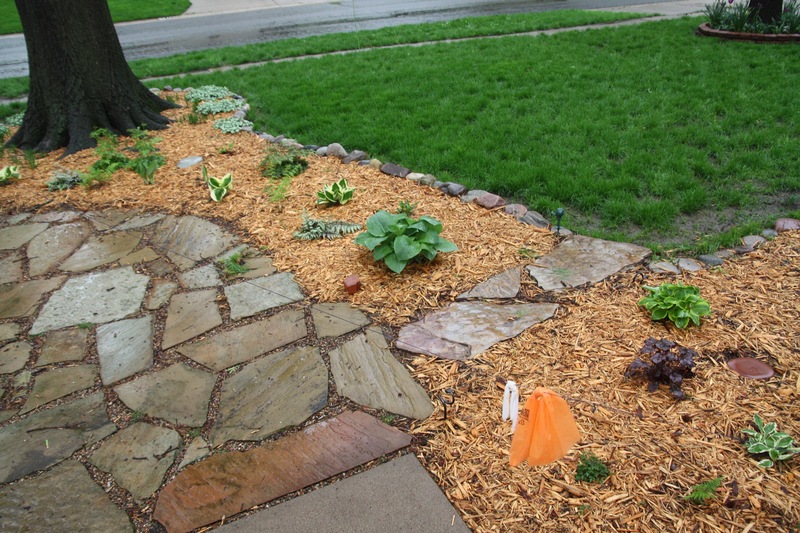 The idea was based on the real stone path in the front of the house that curves from the driveway to the front porch.